Stuck in the airport while on my way to Macau. Could not help but to think about comfort food to warm my cockle-laden arteries. 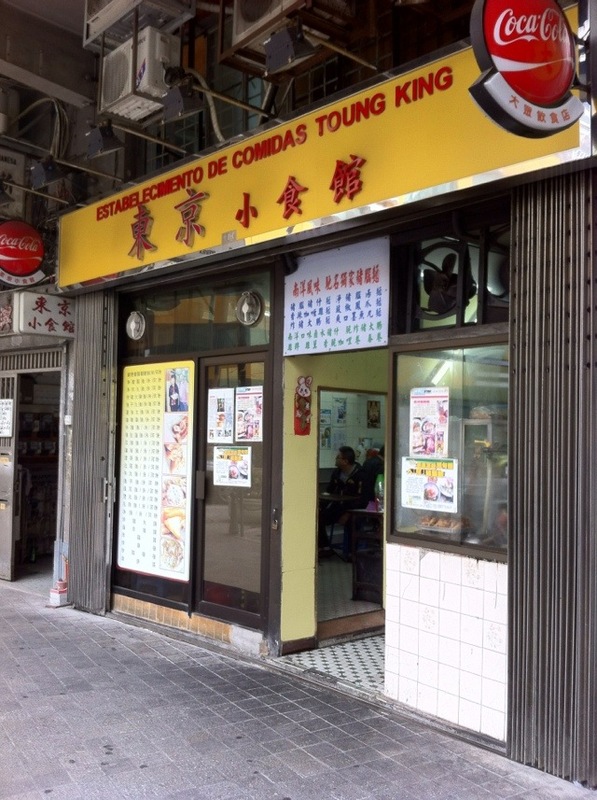 This Myanmar eatery in Macau that has been there for the past 50 years came to mind. Introducing Tokyo Cafe Pig Brain Mee Sua. Health Warning: If you are not a fan of innards of animals, you may leave the post now. 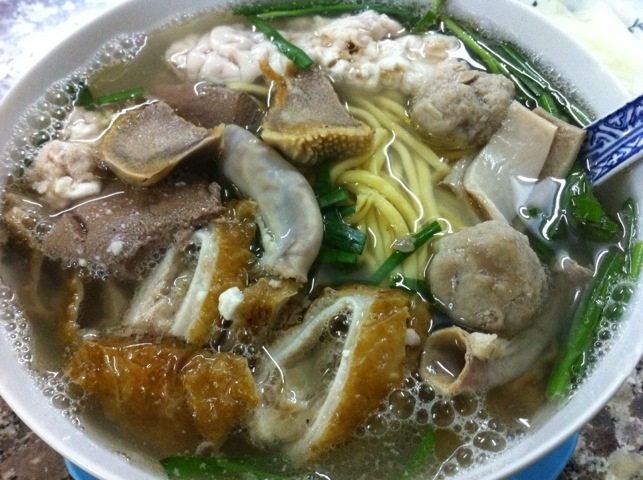 Look at the glorious bowl of goodness – pig brain, intestines, stomach, the works. Served with a clear broth (chicken stock) and al dente Mee Sua. For those unacquainted with this form of noodles, it is made of rice, looks like vermicelli or angel hair pasta, texture like La Mian but a lot smoother. 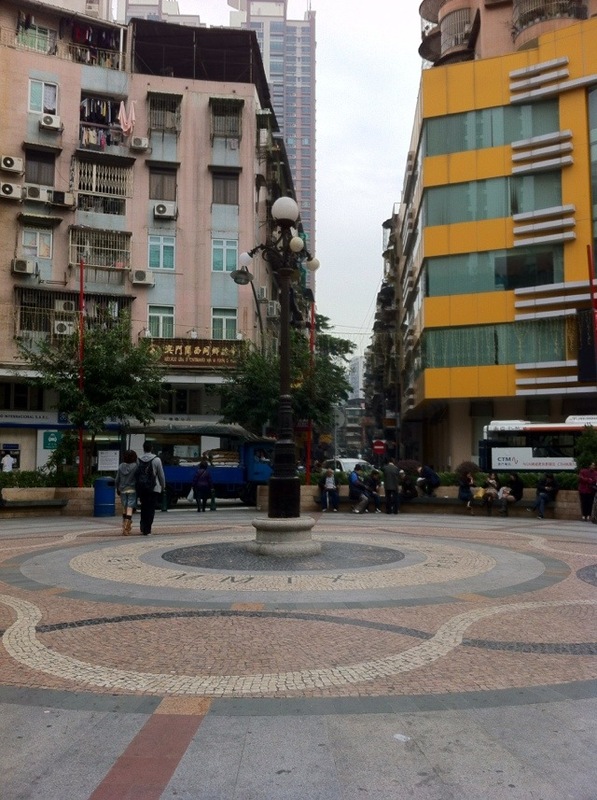 Located in Macau around the traffic circus nicknamed 三盏灯 (meaning 3 lamps), you can walked or take a taxi to this place by saying (Sum Zhan Dang). You will see a lamppost with a distinctive (you guessed it) 3 lamps in the middle of the circus. This is the Myanmar district of Macau, where many of the Teochew Myanmar immigrants congregated in the early days of “boat people”. The owner of the place (now 70+) was first generation Myanmar immigrant to Macau and have been hawking the fare for years. Just look at the newspaper articles about him. The first time I tried this was when I was 10 years old. 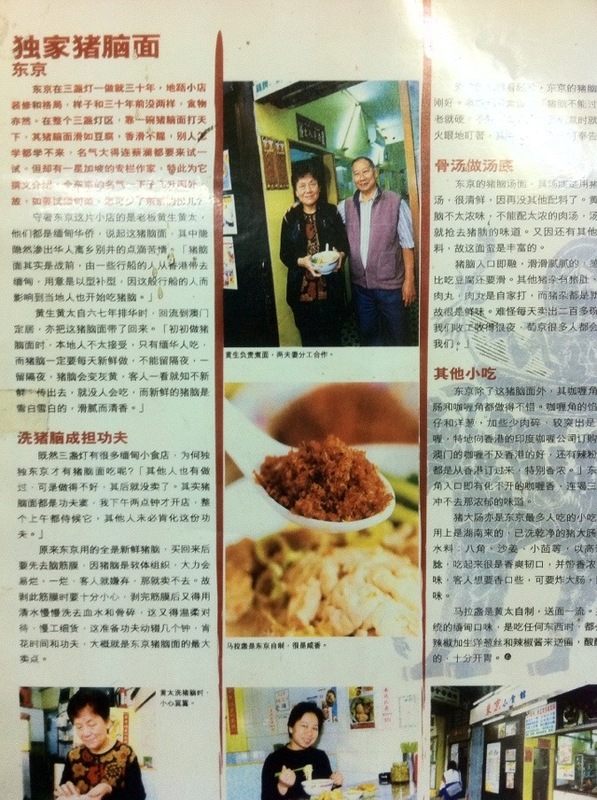 And I have been going to this shop at every chance I have in Macau. When I spoke to the taxi driver, I cannot hide my surprise when they said they do not know such a shop existed. I guess that as modern man gets more and more health conscious, stores like these go into oblivion. No wonder Anthony Bourdain did not cover them when he was in Macau. Other notable eats around Tokyo includes a very famous pushcart hawker that sells Vinegared Pork Knuckles (the type your mother cooked for your wife after delivery) – this one appeared in Tony’s show.